Welcome to Millway Marina. We specialize in the sale of used boat motors and used outboard parts. 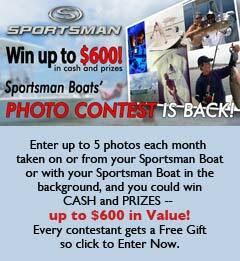 Feel free to drop us an email if you have a specific question regarding our outboard inventory. We update these listing frequently so please continue to check back. 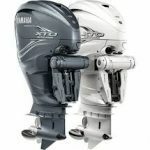 2019 Yamaha XTO Offshore V8 5.6L 425 hp Two (2) new XTOs in pearlescent white. The XTO Offshore® is the result of years of collaboration with top boat designers, and has been built from the ground up to provide the ultimate in power and efficiency offshore. 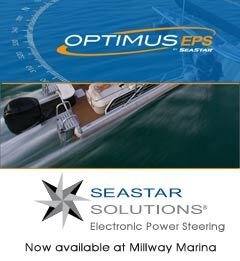 With impressive stats such as the highest compression ratio on the water, industry firsts such as an electric steering system, and engineering touches such as iridium spark plugs and quad thermostats, it’s purpose-built for extreme power, durability, control and reliability. Call 508-362-4904 for pricing.